Boasting plenty of acreage, ample forests and a confident aura, this town, tucked away amidst upland forests, is not only pleasing to the eye and soul, but a must see for any potential home buyer in search of their living masterpiece. Back in 1852 more than 200 men flocked to the area in search of gold. Unfortunately, all that the men encountered was the rock, ‘pyrite’ or better known as ‘fool’s gold’. Needless to say, the gold rush abruptly ended; nonetheless, the roaring 30 meter waterfall still flows and the awe inspiring views remain alive and well. Located 50km’s southeast of Owen Sound, the village of Eugenia sits directly at the headwaters of the Beaver River in Grey County. Known for its pristine views of the Niagara Escarpment and the infamous Eugenia Falls, this village of approximately 200 people is also home to a savvy local restaurant, The Flying Chestnut, which is located in the old post office and general store. 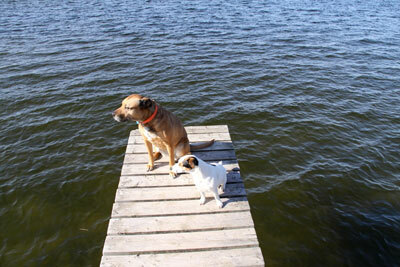 Lake Eugenia is known to be the “Hidden gem of Grey County” with about 400 waterfront properties located on the lake. It is only an hour and a half away from Toronto and just a few kilometres north of Flesherton and the lake is sought after for its simplicity, recreational living and one of a kind property listings. This whimsical village embodies extraordinary properties, landscapes and tranquility indigenous to Grey County. With ample acreage, country homes and majestic living and situated in a great location atop the Niagara Escarpment, this area is also surrounded by stunning upland forests. Eugenia is a perfect village to check out in your search for a new and serene place at a reasonable price to call home. No matter how you view it, Eugenia is a legacy all on its own.